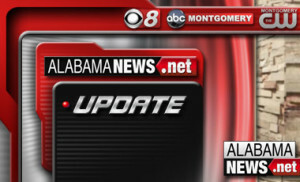 Montgomery police say they’ve made an arrest in a double murder case from January. Police say they’ve charged 18-year-old Kevonta Brown with two counts of felony murder after officers say he turned himself in earlier today. He’s being held on bonds totaling $300,000. Officers say he’s charged with shooting and killing 19-year-old Deontae Edwards and 26-year-old Ojay Baker. Police say a third man was injured in the gunfire. The shootings happened in the afternoon of January 6 in the 400 block of Maury Street. Police say the shootings happened as Brown, Edwards and Baker were committing a robbery of a person.